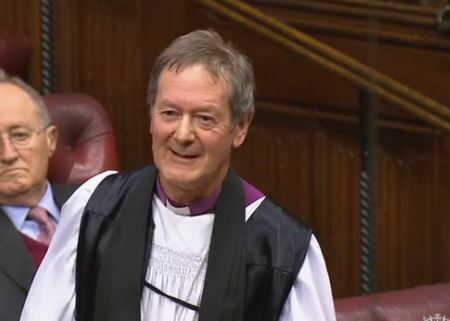 The Lord Bishop of Derby: My Lords, I too thank the noble Lord, Lord Bruce, for introducing this very important debate. I am not a professional politician, but I invite the House to look at the challenge and at the issues behind the case framed, very articulately, by the noble Lord. First, I want to argue that populism is not a movement but a moment. One of the writers in the briefing for today talked about a thin ideology. It is not a detailed movement, as the noble Lord, Lord Bruce, said; it is a moment. Nietzsche, in the aptly named The Birth of Tragedy, talked about psychological bonding creating a headless movement—it is an expression of feeling, concern or anger, but it is headless. It is like a mood in the background and is really difficult to deal with. Just like President-elect Trump’s tweeting, it is technological chatter, but very difficult to deal with. It is a mood and not a movement. Those of us charged with a political task therefore have quite a challenge to know what we are getting hold of and how to react. With the liberal order, there is the same issue. Although many well-organised and well-off people have benefited, the fact is that many people not only lack freedom but are now articulating the fact that they feel unfree in a so-called liberal world. Nationalism, again, is a very tricky term. Behind nationalism, when you talk about Brexit, is a whole mix of contradictory things. I want to step a little further back than the noble Lord, Lord Ashdown, and the 1930s and invite your Lordships to consider some wisdom from Thomas Hobbes. That is partly because he spent a lot of time in Derbyshire and is buried in a church that I go to, but Hobbes can help us see what the issues are, and therefore something of the challenge. As your Lordships know, Hobbes began by saying people are essentially disunited—perhaps this is the threat element that was just mentioned. The task is to create what he called a covenant: a sense of people joining together under a sovereign. Our sovereign today is parliamentary democracy, or a liberal order. It is not just an intellectual statement that is worked out and agreed, since people will not agree the details, but a kind of psychological bond: a spiritual connection or a sense of being under the same rule of law and the same kind of frame within which life can be lived. However, as well as recognising that we start disunited but can be assembled in a covenant, Hobbes challenges us, teaching us that once people are in a covenant, that unity will inevitably dissolve and they will go back to being different. The mistake of much of politics, it seems to me, is to assume that once people are in a covenant they have an intellectually agreed position and will just keep negotiating. Most people are not much interested in politics, except for the occasional moment when, psychologically, they bond together to shout out what might turn out to be a cry for help. I suggest that populism or nationalism is being expressed—noble Lords have given examples—through cries for help. The noble Lord, Lord Ashdown, just pointed to a way in which politicians, perhaps especially, have a responsibility to respond to that cry for help. In my language, it is a spiritual cry, a desire to be connected in a society and in communities and not to feel excluded, unfree and unrewarded. We have to be very careful not to engage with populism and nationalism too seriously in terms of the thick ideology, because in Nietzsche’s terms, they are rather headless moments. But they are signals to those of us who are guardians of the kind of covenant that can hold people together and give us a sense of belonging and working together. Our challenge is to hear the cry and to look at what the covenant is, what kind of state it is in and how we can re-present it in a way that can bond people again and give them a sense of a common life in a common place for a common purpose.